Lucky Aluminum, is a flagship company in the Aluminum Extrusion Industry of Pakistan. They are the ones to introduce the ever best & eye catching fresh look of Aluminum products. The company is known for its Ingots Melting Furnaces, Billets Casting System, DIE Making Machines, Heavy Extrusion Presses, Anodizing Plant, Surface Treatments Machines, Powder Coating Machines, and Powder on Powder Machines & All Laboratory Equipment. The scope of our project is comprised of the construction of warehouses for Lucky Aluminum with a production hall that will be 40 feet high. Moreover, the specifications of the project is estimated to cover the area of about 250,000 square feet that also includes Gantry beam. The team of engineers, professionals and experts at Ittefaq Group are indulged in constructing a complete shell structure in all its respect. Lucky Aluminum is their trusted client as they have constructed the ware houses of estimated 250,000 square feet area for them previously as well. 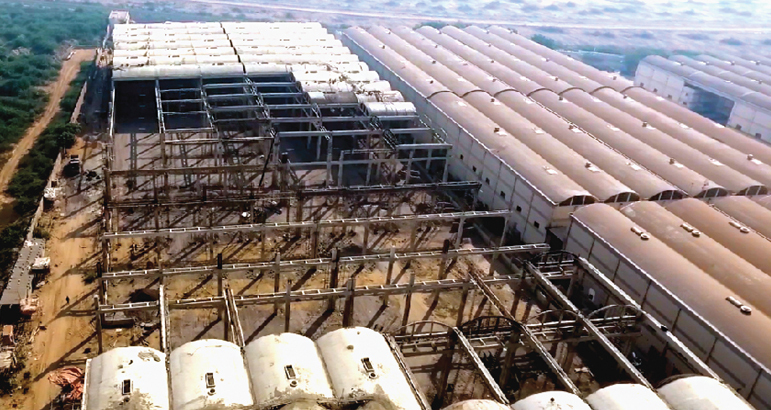 This is their third project with Lucky Aluminum that is based in Port Qasim, Karachi. Which will be completed by July, 2017.